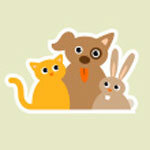 Join or create a LostMyDoggie.com group to discuss and share with other LostMyDoggie.com members. Groups are perfect for people who share the same interests, and want to discuss all things animal related. It's a great way to stay informed and share insights into your favorite subjects. thay have felling just like us.put your self in thair fur. Time has past since the loss of your pet and still have not found any ease of the pain. "Feels like it happened yesterday after all this time"
Thor , missing Havenese dog, 11 lbs., white, grey stripes on each ear, black nose, brown eyes. Yes he is a dog, but we consider him our son. Please, we need help coping with our dog being gone. Bucci's brother, Gucci is so depressed. I can't even begin to understand his hurt. We need help. Each day my heart is heavy. Any suggestions for us, and Gucci? I've hired a pet detective, so I don't feel I need a group right now. I have hope. Does anyone know how to unsubscribe from the group forums? Thanks, best of luck to all of us & God Bless!